This website is designed to help Christmas tree retailers do a better job of caring for their trees. It includes strategies for optimum tree care based on current research. We hope it will be useful for all retailers including independent lot operators, chain store managers, and retail sales persons with responsibility for real trees. 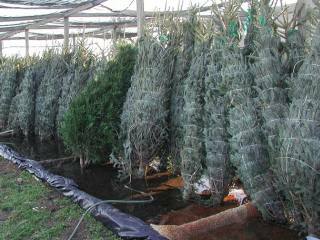 Keeping Christmas trees fresh is the key to maintaining future sales. Why Focus on Christmas Tree Care? 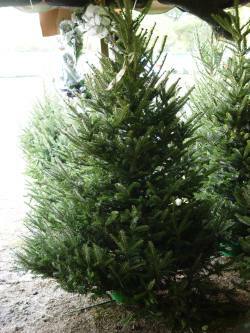 Future sales of real Christmas trees depend on the quality and freshness of today’s trees. Consumers who have positive experiences with their tree this year are more likely to keep it as a central part of future Christmas traditions. Negative experiences can lead to use of an artificial tree or the failure to put up any tree at all. Consumer experiences will determine the direction of future sales for both retailers and the growers who supply them. The combined successes of each retail outlet contribute to a more stable future Christmas tree industry. Despite their size, Christmas trees are a perishable product! 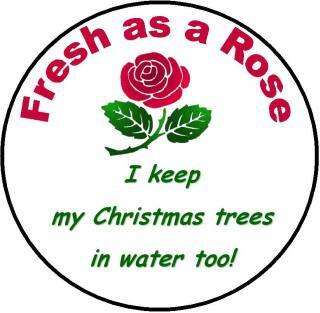 Just like a rose, Christmas trees need to be cared for to stay fresh. Left in full sun or wind, a cut tree can lose more than half of its water content in a single day. 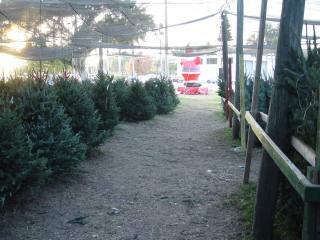 As Christmas retail displays go up earlier in November, trees have to stay fresh longer. When poorly cared for, cut trees dry out, lose needles, become discolored, or develop other freshness problems that can lead to negative consumer experiences. Poor care by any retailer hurts the reputation of all real Christmas trees. Your trees stay fresher in cool, humid, and shady conditions. Your customers are pleased with their purchase. Your customers come back next year. You have fewer cull trees – if any – to recycle. You sell out of marketable trees. Your sales staff is more knowledgeable and enthusiastic about Christmas trees. Emphasize the care you take with the Christmas trees you sell. You will need the free Adobe Reader program to view Adobe PDF formatted publications.